Birth control pills are one of the type of contraceptive which are generally used by women around the globe. These pillsare made for hormones which preventsundesirable pregnancy. There are two types of oral contraceptive pills, one is the combined oral contraceptive pill which is made of estrogen as well as progesterone and the other type consists of progestin. Combination birth control pills are more often used by women. There are numerous benefits for using this type of method to avoid pregnancy. The pill is easy to use and does not require that female ask a male partner. These control pills are safe and work well in preventing pregnancy. Using the pill means women do not have to think about birth control when they are with their partner. Combination pills may offer other advantages that include fewer menstrual cramps, less acne, and stronger bones. They can also reduce the risk of life threating diseases like cancers that affect reproductive organs. It is to be noted that Birth control pills can be purchased at pharmacies and clinics. Oral contraceptives come in many different brands. Different brands of oral contraceptives contain slightly different medications or doses, are taken in slightly different ways, and have different risks and benefits. Women must know very well about brand of oral contraceptives they are using and exactly how they should use it. If there is any doubt, they must contact doctor or pharmacist for a copy of the manufacturer's information and read it carefully. Some women complain side effects after taking the pills depending on their hormone levels. In order to lessen these side effects, female use contraceptives that have different levels of hormones in them. However, it is observed that there is an abrupt change in the pills intake which can cause certain outcomes. It is medical advice that women must know about oral contraceptive pills before taking decision to use it to avoid unwanted pregnancy. Role of Birth Control Pills: During every menstrual cycle, ovulation takes place due to the effect of the hormones and female body is ready for pregnancy. When the sperm from the male fertilizes this ovum, conception takes place and the woman gets pregnant.This process is delayed by taking the oral contraceptive pills. These pills can avoid the occurrence of pregnancy in three ways which will depend on the type of pill used by females. The function of these oral contraceptive is to stop the body from producing the ovum or help in thickening the mucus in the uterus due to which the sperms are incapable to enter the body.Some pills make the lining of the womb inapt for the fertilized egg to attach itself. To prevent pregnancy, these pills should be taken for 21 days at the same time every day.Medical practitioners stated that if women skip the pill even for a single day, it may increase the risk of pregnancy. After 21 days, woman can either stop taking the pills or consume the non-active pills or placebo for 7 days before starting the next dosage. It is established by medical experts that oral contraceptive pills are effective way to avoidpregnancy but it can have some side effects. Most common side effects complained by women are nausea, vomiting, and bloating.Some women may feel headache, dizziness, and fatigue. Other women may gain weight after consuming birth control pills. These side effects usually occur for the initial few days after taking the pills because the body needs time to adjust to it. It has been observed in some cases that such side effects remain for longer duration and disturb the daily routine. It has been found that brand of these pills also troubles the females. The pill also carries some severe, although rare, risks. Woman may be at risk of high blood pressure, blood clots, strokes, heart attacks, liver tumors and gallstones. Some of these conditions can be fatal, but the risk of experiencing any of them is very low. If woman is overweight and older than 35 years old, smokes, has diabetes, she will carry more risk. Some medical studies have shown that taking the pill increases risk of breast and cervical cancer, while others show no increased risk. Therefore it is recommended to try different types of pills before finding the one that suits. Also it is not advisable to change the birth control pill whenever females like as this may have some health hazards. Women must have to take extra precautions before switching to other brands. The right time to switch to other brand of pills is when women find their oral contraceptives inappropriate due to definite side effects. But at this time, it is advised to immediately contact gynecologist who will help to find an alternative pill. In many cases, it is found that outcomes are caused due to the level of progesterone and estrogen. If money is the issue to switch to other pills then choose the one that has the same level of hormones like previous one. Some women do mistake to change the pills during the menstrual cycle, i.e., while they are taking their old pills. This should be avoided because this change may have adverse symptoms, such as heavy bleeding, headache, nausea. Women who choose birth control pills to avoid pregnancy must be aware that they must take pills in correct way. If women follow the exact instructions for taking birth control pills every day, at the same time they prevent pregnancy in 99 percent. But females usually do not follow the same. According to medical experts, if woman takes these pills every single day, the chances of getting pregnant is less. Birth control pills have a higher failure rate than other contraceptives, like intra-uterine devices or birth-control rings. If women miss the periods, doesn't indicate anything abnormal. Doctors say that while taking pills regularly, the uterine lining can become very thin. When females stop bleeding on the pill, the lining has become so thin that they don't have anything to bleed from. But this is not permanent situation. When a woman stops taking birth control pills, the ovaries start making more estrogen, the uterine lining gets thicker, and women start to bleed again. Medical researchers explored two types of antibiotics that make birth control less effective. These are griseofulvin, an anti-fungal used to treat athlete's foot and ringworm, and rifampicin, which is normally used to treat tuberculosis. Other than these antibiotics, there are range of medicines come with warnings that they will make birth control ineffective and suggest using a back-up method of contraceptive. Lots of birth control packs have four weeks of pills. Three weeks of pills that prevent pregnancy and one week of pills that are inactive. Women can safely miss that last week of pills to prevent pregnancy. But that does not mean that last week of pills are just sugar pills. It is to understand that the new oral contraceptives will not be effective from day one itself. Instead, it will take the body some time to adjust to the new pill. Therefore, there are chances of conceiving even if women take the pills regularly. It is better to take the help of some other contraceptive for at least the first seven days of starting the new birth control pills in order to avoid unwanted pregnancy. It is documented in medical studies that 5 out of 100 women who use this method each year are likely to get pregnant. 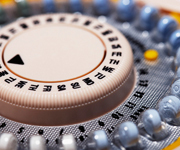 The risk of pregnancy is much less for women who take the pill correctly. The pill may be less effective in women who are obese.